Queen Latifah appeared in Will Smith's 'Fresh Prince' twice... As two different characters! 4. 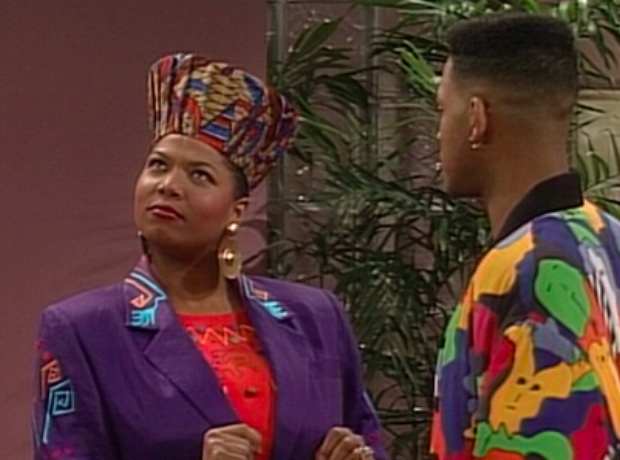 Queen Latifah appeared in Will Smith's 'Fresh Prince' twice... As two different characters! In May 1991 Queen Latifah appeared alongside Will Smith in the classic show that is The Fresh Prince Of Bel Air. The episode, called 'Working It Out' saw the Queen play a bossy actress called Marissa Redman - fast forward six months to episode 'She Ain't Heavy' which aired in November 1991 and she was back as a completely different character - Will's blind date Dee Dee! Bad consistency Fresh Prince!